I won third place in Medical Device + Diagnostic Industry magazine's Dare-to-Dream Medtech Design Challenge. MD+DI is a magazine written exclusively for original equipment manufacturers of medical devices and in vitro diagnostic products. A month ago, the editors of MD+DI created a medtech design contest, where we challenged you to design your dream device under the assumption that real-world challenges were non-existent. In August, the editors of MD+DI asked you, the medtech community, to put on your creative hats and dream up a device that would tackle health-care problems both big and small. "The inspiration for this dream device obviously came from a very personal place," said Jamie Hartford, managing editor of MD+DI. "The Intracranial Cerebrospinal Fluid Pressure Regulator is a novel improvement over the standard of care for intracranial hypotension caused by cerebrospinal fluid leaks, a condition that can cause devastating headaches. I like that it uses wireless power transfer, which is really the next step for implantable devices." October 17th Debt Ceiling: Are you ready for the Greater Depression? Unless you never read a newspaper, watch TV or turn on the radio, you know that the politicians in Washington DC are screwing up the world economy and don't even know it. The only solution is to get rid of parties. Remember the Wigs and Hat parties from your Civics Class in school? The Founding Fathers saw, in their own day, the dangers of parties over Statesmen. When was the last time you were invited to one of their parties? I don't vote based on parties. I vote on if I think the person will represent my interests. None of them do anymore. None of them understand how the monetary system works. That you think a green piece of paper has value is only a mater of belief that it has value, a mater of perception. The perception that the Dollar is worthy of being the worlds reserve currency is also a mater of perception. The damage has already been done to the perception of the Dollar being worthy of holding. Oct/17/2013 is when the US run out of the ability to borrow 'Money'. Government raises your taxes with new CPI calculations. Is the Dollar Dead? Bank of England says so. "We can always print money" - Alan Greenspan on Meet The Press Aug/07/2011. Why is the cost of my Bill of Material (BOM) so much higher than last week? The Orwellian doublespeak answer: Quantitative Easing. Are you ready for the Greater Depression? This week I spent a bit of time with Dr. J. C. Chiao, of University of Texas at Arlington, learning about the field of Physiotronics [TM], which covers the area of Implantable Wireless Medical Devices and Systems. With the recent suicide of my wife due to chronic pain, from Intracranial Hypotension caused by leaking Cerebralspinal Fluid (CSF Leak), the information on An integrated wireless body network for chronic pain management. The system provides a wireless closed loop for neurorecorders to recognize pain signals and neurostimulators to inhibit pain is of great personal interest. Page two and six are the pain related ones. Perception of pain requires propagation of Neural Signal Action Potentials (APs) via communication between neurons (Nociceptors) over Nociceptive afferent fibers (Aδ, C). Dr. Chaio's group is currently doing animal trails, with rats, of their APRI [TM]: Automatic Pain Recognition and Inhibition which is a closed-loop On-demand feedback system that is measuring the actual nerve signals that transmit pain to the brain. To my knowledge all other current techniques use only subjective methods of those in actual pain, such as the Mosby Pain Rating Scale, or fiddling with the knobs of a TENS unit far to much as Karen often did. The closed loop system will allow for less pain medication to be injected, and being automatic allow the user to get on with having a life. I do have one significant concern, due to my bias of not wanting to puncture the spinal dura, which is what causes Intracranial Hypotension, is currently the neural sensors require physical contact with the pain sensing nerve. I'm hoping this does not cause erosion of the dura leading to a CFS Leak. This may be nothing but my personal parainoia. Also I'm not sure Dr. Chiao, and the medical field at large, understand the importance of the ratio encoding of the nervous system. Something I researched extensively when working with Dr. Flanagan on an update to his Neurophone [TM] years ago. You can read my old research here: Mind9. This weekend is your last chance to vote for my device in the Dare to Dream Medical Device Contest : How do we make this device happen?. If you are having trouble voting in the device contest from a phone use this link and vote for #5, "Intracranial Cerebrospinal Fluid Pressure Regulator". See here for more information. Is consciences itself influencing your Embedded System? This week [Sept. 20th 2013] I spent a fascinating evening with Bob Jahn and Brenda Dunne of the former Princeton Engineering Anomalies Research (PEAR) laboratory, who are now running the International Consciousness Research Laboratories (ICRL). Bob Jahn is Emeritus Professor of Aerospace Sciences and Dean Emeritus of the School of Engineering and Applied Sciences of Princeton University. He was founder and director of PEAR from its inception in 1979 until its closing in 2007, with Brenda serving as its laboratory manager. Bob is now Chairman of ICRL and Brenda serves as its President. 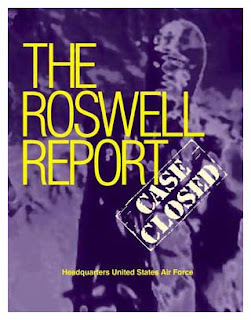 Bob and Brenda over 28 years investigated psi from an engineering point of view. 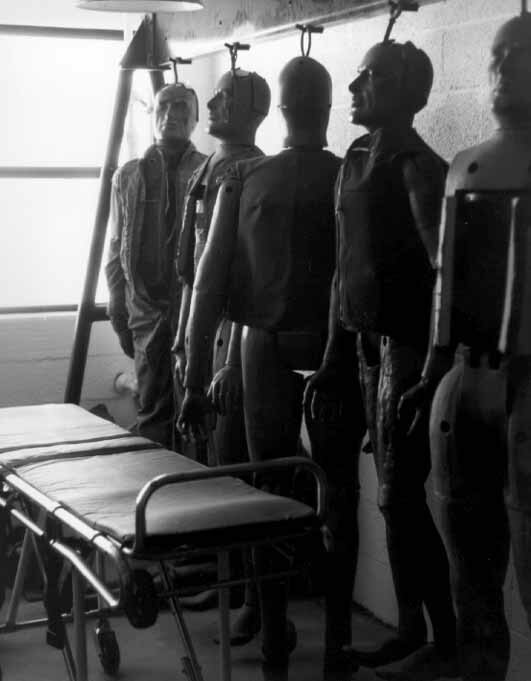 That is, the primary subject of their human/machine experiments was not the human, but the machine. This shift in emphasis required different experimental designs based on the accumulation of very large databases from a relatively small group of human operators, manipulation of physical variables rather than psychological ones, and data processing and statistical techniques drawn from engineering practice. The way we pose our questions can frequently affect the answers we get. PEAR experiments involved many different types of Random Event Generators. For our discussion here I assume the REG is based on the decay of a radioactive element. It is impossible to know when a radioactive particle will be emitted from a mass. The unpredictably of this emission form a random event that is coupled into a logic system to record such events. Lets assume we have a simple apparatus of three bins in which a collection of balls can accumulate. The bin on the left is called the 'low-side', middle bin the 'baseline' and the bin on the right is called the 'high-side'. The Random Event Generator determines which of the three bins the balls will fall into. Over a long enough period of time, without any outside influences, the three bins will accumulate the same number of balls. Now the fascinating part to me is that untrained operators (that is people that claim no special abilities of any kind) can influence which bin gets the most balls. It gets even more interesting that the device can be influenced remotely from the present, past or future! Time and distance are a construction of our current physical understanding of the world, however they are not a requirement of Nature. In their studies they did determine that this is a wave-based phenomenon and not particle based. What I found strangest of all (as if this all isn't strange enough) is that the influence on the devices were gender specific. Males who could see the device had the best outcomes of getting the balls to fall into the bins of their choosing. Females regardless of their choice tended to have the balls fall into the 'high' bin. Bonded couples (that is dating or married heterosexual couples) had a seven fold increase in the balls falling into the bin of their choosing. Pairs of males or pairs of females had no better outcomes than an individual operator of the same gender. PEAR accumulated billions of bits of data from the REGs of many types and found the same outcomes over 28 years of study. Dare to Dream Medical Device Contest: How do we make this device happen? On August 7th, my wife of twenty years committed suicide. For twenty-four year she battled with Chronic Pain, that she ultimately lost to suicide, when she could take the pain from Intracranial Hypotension, caused by leaking Cerebral Spinal Fluid (CSF Leak), no longer. I refuse to let Karen's death be in vane, see about donating her spine: http://blog.softwaresafety.net/2013/08/my-wifes-suicide.html. Now I need your help. I know some of you work in the medical device field. Now do we make this device happen (I know it is a slow process), see below? 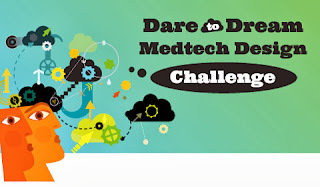 10 Finalists Announced For Dare-to-Dream Medtech Design Challenge (slideshow). Editors have already scored the submissions. Now it's up to readers. The scores will be added to reader votes and a grand prize winner and two runners up will be announced Oct. 1. This one is mine: Intracranial Cerebrospinal Fluid Pressure Regulator . When I saw this contest announced I thought it was a good way to get the issue of Intracranial Hypotension in front of the group of people, Nerds like me, that design medical devices, so that someday this group will have a solution to IH. Wining the contest will get IH in front of even more people. However wining is that not important to me, I'll be donating the proceeds to IH research. What I want accomplish is getting IH in front of the people that can do something about it. I know some of you work in the medical device field. Now do we make this device happen (I know it is a slow process)? Karen's complete medical history is here http://www.kpaddock.com. Reminder: "The Codebreaker": A film about Alan Turing-to youngstown state university, in two weeks on Sept. 12th. After years in the making, NASA has now released to the public their first-ever Software Engineering Handbook (SWEHB); NASA-HDBK-2203 (2013-02-28) . YouTube video showing how a person can navigate through the NASA Software Engineering Handbook to find software engineering related information. This video is about ten minutes long and can be used as a good training or awareness tool. Each section of the SWEHB provides six areas of information per entry: the requirement, its rationale, guidance for implementation, notes for small projects, associated resources, and related lessons learned. The 135 software engineering requirements for NASA projects are listed in a small, blue booklet, seventy pages long, called NASA Procedural Requirement (NPR) 7150.2 AKA NASA Software Engineering Requirements ; View all pages in PDF. The new handbook is "A sort of hitchhiker's guide to the NPR". The handbook does not impose additional requirements; it is meant to be an assist. Haley Stephenson explains how the SWEHB was developed as a collaborative Wiki in The Hitchhiker's Guide to Software Engineering at NASA . Many mangers do not seem to appreciate the value of using something like Dokuwiki to collaborate and document the development of a project. Without such documentation, years later, we are left to wonder "why did we use the red widget, rather than the better blue widget?". Perhaps they are afraid of Federal Rule of Civil Procedure Rule 26; Duty to Disclose; General Provisions Governing Discovery ? See also Michael Barr's Dead Code, the Law, and Unintended Consequences . Always keep in mind that Software never works in isolation. Safe Software is useless if the system as a whole is not safe. To that end make sure that NASA Systems Engineering Handbook (in PDF here) has a place on your desk or bookcase. Standard for Software Assurance with Requirements Compliance Matrix [MS_Word] and Requirements Compliance Matrix [MS_Excel]. I have worked with many of you over the years. You know that I'd occasionally be absent for that planed meeting and recently was out of town for a few months to get my wife treatment for a Cerebral Spinal Fluid Leak (CSF or CFSL); Intracranial Hypotension. Her problems started with a car accident 23+ years ago and it was only last fall that she learned, through her own studies, that the cause of her debilitating headaches were from CSFL. Your brain is supposed to be floating around in your skull as a protective shock absorber. A leak of this fluid cause the brain to start hitting things and yanking on things that were never meant to be yanked. Ultimately she could bare the pain no longer and this Wednesday, Aug./7th/2013, she took her own life to stop the pain. There are no words to describe the emptiness I fell right now. If you have a wife/spouse/significant other make sure you appreciate all the things they do for you, and let them know it. Also make sure you know how to do the important ones too. At the moment I have no idea how to pay the gas bill on the on line account she setup. Would you know the passwords if you had to take over this duty? Fortunately I do in this case as she was good at keeping some of them written down, but alas not all of them. Her funeral is tomorrow, August 12 2013. The research into CFS Leaks is only about ten years old and Karen had this problem for nearly 24 years. We only know two people that are known to have had it longer at 26 and 32 years. I refuse to let Karen's death be in vane. To that end I am paying for a private autopsy to be done Monday morning Aug. 12th, even tho the cause of death is known. The reason for the autopsy is to have her spine removed. It will be sent to Duke Medical School to be studied in the hopes something may be learned to prevent an other suffer of this painful condition from taking the same route Karen did to end her pain. Karen touched so many lives that the outpouring of sympathy and support has been amazing that I can not keep up with the number of people she helped. I will be updating Karen's web site with more details and resources to help others, and most of all educate doctors about CSFL. The Northeast Ohio Professional Chapter of the Association for Computing Machinery (NEOACM), in association with the Youngstown State University's Student ACM and Computer Science Department is sponsoring a college screening of a drama-documentary on the life of Alan Turing titled CODEBREAKER . Patrick Sammon, the Executive Producer and Creator of CODEBREAKER , will attend this screening to introduce the film and provide Q & A afterward. This screening will be free and open to the public and will take place on September 12, 2013 at the Williamson Auditorium on Youngstown State University's campus. NEOACM is looking for sponsors for this event. This drama-documentary is about the heroic life, death, and legacy of Alan Turing, one of the 20th century's most influential scientists, yet few people have heard his name, know his story, or understand his legacy. Turing was a British mathematician and logician, who made major contributions to mathematics, cryptanalysis, logic, philosophy, and biology. He also laid the foundations for computer and cognitive science, artificial intelligence, and artificial life thus laying the foundation for our modern society. Turing's crucial involvement in breaking the German naval Enigma code during World War II is accredited by historians in helping shorten the war by two years and saving millions of lives. Tragically, this great mind only lived 41 years. In 1952, British police arrested him for having a relationship with another man. 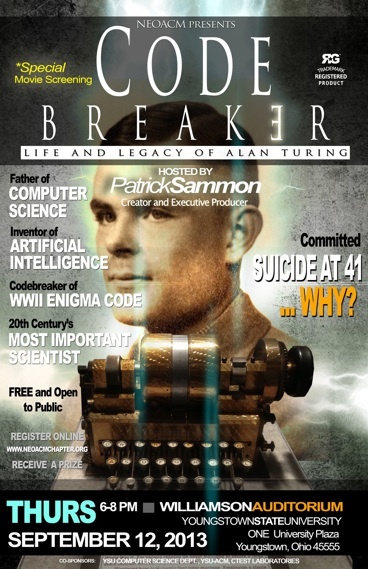 Two years later, Turing committed suicide due to events surrounding his arrest. Considering Turing's wide influence, this film is ideal to be watched by students and professionals of a wide variety of disciplines including computer science, mathematics, engineering, informatics, information security, biology, and history. During 2012, marked the 100th anniversary of Alan Turing's birth, universities, technology centers, and professional associations worldwide celebrated by honoring his legacy. This special screening will enlighten a well-varied audience and inspire them to value diversity in their profession and in our world. It is our hope you will see the value of this screening on YSU's campus and will choose to serve as a sponsor for this important event or join as an advertiser! Can your teenage children survive without Texting or Internet, for a day, a weak or years? Recent storms across the country have had many go without power for days, and a few people without power for weeks. Now consider what happens when the power goes out for years. The U.S. has 80,000 miles of extra-high voltage (EHV) transmission lines making up the backbone transmission grid that enables the long-haul transport of electricity for our nation, all of it acting as a giant antenna to pick up Electromagnetic Pulse (EMP) events. Such a EMP event could come from natural solar storms or a man made deliberate attack. "The first warning the U.S. would have of such a strike in progress would be the EMP..."
Congressional documents (see below) from the Committee on armed services indicate that a small nuclear device detonated 250 miles above northeastern Nebraska would have wide spread devastation throughout the continental United States, as well as Canada and Mexico. Secure High-voltage Infrastructure for Electricity from Lethal Damage Act or SHIELD Act - Amends the Federal Power Act [16 U.S.C. § 824a(c)] to authorize the Federal Energy Regulatory Commission (FERC), with or without notice, hearing, or report, to order emergency measures to protect the reliability of either the bulk-power system or the defense critical electric infrastructure whenever the President issues a written directive or determination identifying an imminent grid security threat. Directs FERC to consult with governmental authorities in Canada, Mexico, and the Electric Reliability Organization (ERO) regarding implementation of emergency measures. Prescribes: (1) implementation procedures; and (2) related cost recovery measures affecting owners, operators, and users of either the bulk-power system or the defense critical electric infrastructure. Directs FERC to require any owner, user, or operator of the domestic bulk-power system to implement measures to protect the system against specified vulnerabilities. Requires FERC to issue an order directing ERO to submit for approval, within 30 days, a reliability standard requiring implementation, by any owner, operator, or user of the bulk-power system in the United States, of measures to protect the bulk-power system against an identified grid security vulnerability (including a protection plan with automated hardware-based solutions [This could be creating a new market area for Embedded Systems]). Directs FERC also to order the ERO to submit reliability standards to: (1) protect the bulk-power system from a reasonably foreseeable geomagnetic storm event or electromagnetic pulse event (EMP); and (2) require entities that own or operate large transformers to ensure their adequate availability to restore promptly the reliable operation of the bulk-power system in the event of destruction or disability as a result of attack or a geomagnetic storm or EMP. Directs the Secretary of Energy to establish a program to: (1) develop technical expertise in the protection of electric energy systems against either geomagnetic storms or malicious acts using electronic communications or electromagnetic weapons; and (2) share it with owners, operators, or users of systems for the generation, transmission, or distribution of electric energy located in the United States and with state commissions. Scientists, Politicians Take Electromagnetic Pulse (EMP) Threat Seriously. Human Exposure to EM Fields. Natural or man-made EMP attack on the horizon? DHS Study of Critical Infrastructure Risks from GPS Disruptions. From Its Birthplace: A Symposium on the Future of Nuclear Power, March 27 and 28th and the coming Grid Collapse. Some of the mega-transformers have a two year lead time, when they need to be replaced. 90% of consumed power passes through a high voltage transformer at some point. If these transformers fail, especially in large numbers, therein lies a very big problem. --- Power Hungry: Prototyping Replacement EHV Transformers EHV transformers, and the nation's electric grid, are on the Department of Homeland Security's mind . Alas in typical politics can't just get something done in one try, H.R. 2417 has been handed off to the Energy & Commerce Committee , where it may take a EMP event to get it moving...You may want to speak to your congressional representative about this issue. Not addressed is the issue of the cost to the 'user', which is you and I. In typical government overreach The Man could come and demand that you retrofit your house with EMP protection, at your expense. On the upside the massive and permanent failure of The Grid could finally result in things like Cold Fusion becoming a reality on a large scale. R. James Woolsey testimony before the house Committee on Energy and Commerce. ; May 21, 2013 "Information Warfare Operation of Russia, China, North Korea, and Iran. These potential adversaries in their military doctrines include as a dimension of cyber warfare a wide spectrum of operations beyond computer viruses, including sabotage and kinetic attacks, up to and including nuclear electromagnetic pulse (EMP) attack..."
They could not afford Linux? I was recently walking down Beverley Boulevard in Beverley Hills, where I walked past a store that my bank account is unworthy of entering. In the store's window there was a very large multicolor LED sign. What the sign was selling was the Windows[TM] crash dialog, asking for a button to be pressed. I'm sure this is not what the store wanted to be selling. My first thought on seeing this was "This place can't afford a sign that uses Linux?". It is unlikely that the buyers of that sign had any idea of what made it work, until it crashed. Makes me wonder if we should start labeling our products like "Linux Inside"? A quick web search even found a GNU/Linux distribution intended for digital signs. While Linux has no fee that does not necessarily mean it has no costs with designing it into a product. A designer that has only ever used Windows may end up spending less money designing in Windows[TM] due to the learning curve that it takes to embedded Linux in a product. Something that I find a bit annoying is that the majority of the world thinks the choice is either Linux or Windows[TM] when there are other options available. Commercially there is QNX, vxWorks. uCOS-II and uCOS-III from Micrium, and other commercial vendors. I'm partial to uCOS-II myself, as you find my name in the first edition of the book for helping getting it debugged and documented. In the Free and open-source software (FOSS) area there is NetBSD that works, and can be made to work, on many kinds of odd hardware. I'd prefer it over Linux due to its non-viral license. There is also Minux-III, the original Minux being the direct parent of Linux. Inferno is also interesting if you need a large scale networked system for something like a medical office application. What uncommon systems do you recommend? Do you even think such systems are always required for embedded devices? Sometimes a simple 'big loop' might be enough, or be preferable as it is easier to verify. For the last ten years Gimpel Software has posted a short stand alone program with an obscure C bug in it, with the challenge to the reader to figure out the bug. Gimpel does this to show off their static analyzer Lint, the nitpickyest of all programs, something that I use almost daily. Lint exposes bugs by looking at a project as a whole, with multi-pass value tracking, rather than just as a file at a time as most humans would. Lint also can test for compliance with various guidelines such as MISRA or The Barr Group's Embedded C Coding Standard . You can even input your own bugs to test short snippets of code that you might come across. For example the abysmal "if( A==B==C )" found in some of Freescale's USB stack code (I'll save the rant on poor manufacture example code for an other time). I always looked forward to the challenge of the Bug of the Month, sadly it has be discontinued in favor of a new blog (May not be operational until late summer). I really don't like how everyone thinks replacing something useful with something akin to 'Social Media' is a good thing, how about you? Colleagues over the years have complained that Lint puts out to many warnings. That is usually the case of Linting legacy code. Error messages may be turned off in layers. Get rid of the ones that will crash the system first, followed by the ones that might, until you get down to none or the ones you are willing to live with. Also with people trying to turn serious development in to some kind of game, see Development has become the game. Whats your Potty Mouth Score today? , make Lint a game. Can you write code that will give no Lint errors today? Looks like I'm up for a trip to the library, just came across an intriguingly titled paper: The Cyborg Era Begins by Robert F. Service in Science in the area of Bioelectronics . Abstract: Electronic components are invading the body. In the lab, cling wrap–like circuitry draped over the hearts of test animals can track the activity of each of the heart's four chambers and kill tissue that initiate potentially deadly arrhythmias. Other arrays penetrate brain tissue to monitor the abnormal nerve firing patterns in epilepsy or induce gene expression in the brain tissue of mice. One team has even made a 3D printed bionic ear able to pick up ultrasonic bleats that humans cannot hear. These early prototypes can't produce science-fiction cyborgs; most are used in medicine. But over time, expect devices that will make us better athletes and soldiers, or even improve our complexions. My entry on Probabilistic Programming got me to wondering about estimating productivity. Made me dig out J.P. Lewis classic paper Mathematical Limits to Software Estimation . Abstract: Algorithmic (KCS) complexity results can be interpreted as indicating some limits to software estimation. While these limits are abstract they nevertheless contradict enthusiastic claims occasionally made by commercial software estimation advocates. Speciﬁcally, if it is accepted that algorithmic complexity is an appropriate deﬁnition of the complexity of a programming project,then claims of purely objective estimation of project complexity, development time, and programmer productivity are necessarily incorrect. Mr. Lewis wrote a lengthy supplement, elaborating on the many misunderstands of what the paper actually said. Alas it did not really help me figure how to estimate the time it might take to use probabilistic methods. At this point, that is probably not even possible given this prenatal state of the probabilistic methodology? Machine learning is at the heart of modern approaches to artificial intelligence. The field posits that teaching computers how to learn can be significantly more effective than programming them explicitly. This idea has revolutionized what computers can do in a wide range of domains, including Intelligence, Surveillance, and Reconnaissance (ISR), Natural Language Processing (NLP), Predictive Analytics, Cyber, and various scientific disciplines. Example applications include self-driving cars, image search and activity detection, object tracking, topic models, spam filters, recommender systems, predictive databases, and gene sequencing. Unfortunately, building effective machine learning applications currently requires Herculean efforts on the part of highly trained experts in machine learning. Probabilistic Programming is a new programming paradigm for managing uncertain information. The goal of the Probabilistic Programming for Advancing Machine Learning (PPAML) program is to facilitate the construction of machine learning applications by using probabilistic programming to: (1) dramatically increase the number of people who can successfully build machine learning applications; (2) make machine learning experts radically more effective; and (3) enable new applications that are inconceivable today. Machine learning applications work by building a model of a phenomenon of interest and then training or conditioning that model with observed data, similar to the way we may 'teach' a Neural Network today. What Probabilistic Programming is not is the classic Inference Engine, rather it is a front end to classic IEs or yet unthought of IEs. BUGS would be an example of a classic IE. The Probabilistic Programming approach separates the model from the solver, making it possible for one set of users to develop the model without having to implement or know the details of the solver. With Probabilistic Programming languages, once they exist, developers will be able to focus on developing their models while solver experts will be able to embed their expertise in reusable new style inference engines. Where I see Probabilistic Programming being of the most use in Embedded Space is in the area of network routing for the Internet of Things (leaving aside the issues of lack of conventional radio spectrum and the raising Internet noise floor slowing everything down for the moment). There are some Software Safety issues to address, such as how is a Probabilistic Programming verified and validated? No human may actually know how it works, to explain how a particular conclusion was reached. MISRA well known for their C and C++ safety Guidelines does have an obscure section on Autocode generation. However that is still based on conventional technology of today. What happens when true Artificial Intelligence systems do start creating programs that we rely on? To keep up to date follow the Probabilistic-Programming.org Mailing List. Weight of the Soul or Dust on the Scale? Back around Halloween I mentioned my visit to the J. B. Rhine Research Center (Rhine was the first to do experiments with 'ESP' at Duke University in Durham, North Carolina in the 1920's), see Near Death at the Rhine Research Center . The first formal report of the optical work, Electromagnetic Emission From Humans During Focused Intent by William T. Joines, Stephen B. Baumann (deceased), and John G. Kruth, see Journal of Parapsychology 76(2), is now online (Membership is required). The formal report does cover Mitogenetic Radiation something I thought was lacking previously. What also fascinates me is that if they can get the funding for this future research project: They want to try to weigh people that claim they can leave their body, sometimes refereed to as Astral Travel or Astral Projection (the original experiments invovled death, no one wants to be killing the research subjects today) , and see if there is a change in their weight. [Jim Williams] worked for a few years with the Nutrition and Food Sciences Dept at MIT, building equipment for them. Once he built a scale that was so sensitive he could stand on it, take a bite out of a donut and measure the weight of the bite. He had to add a low frequency notch filter to take out the heartbeat of the user as the blood flowed up and down the femur arteries, modulating the weight on the scale. - I Remember Jim Williams, a Guru of the Analog Electronics World, as Much an Artist as Engineer. Scott Wayne, Analog Dialogue's editor, pointed me to Jim Williams scale paper, Thank You Scott: High resolution scale: Measures up to 250 lb +/- .01 lb, detects a single bite of food , Analog Dialogue, vol. 10, no. 2, p. 17, 1976. Every issue of Analog Dialogue, from Volume 1, Number 1, 1967 through the present is available in Analog Devices' Analog Dialogue's archives. Getting back to our current time, Vishay Precision Group (VPG) has released a Video, described here, on their Z-Foil Resistors. In the video, a custom designed scale is used to weigh 200 grams of gold at +25C and +60C, first utilizing thin film technology for the gain resistors and then using the Z-foil resistors. At +25C, both the thin film and Z-foil resistors measure the 200 grams of gold for a value of $11,400. With an ambient temperature increase to +60C, however, the assembly utilizing precision thin film resistors weighs the gold as 197.8 grams for a value of $11,277 - which represents a 'loss' of $123. The same assembly using Z-foil resistors is not affected by the temperature change, providing an accurate measurement of 200 grams at +60C - and no loss in measured value. See also Why Honest Weigh Scales Are Application Specific and Application Note 5275: Calibration - Needless or a Necessity? , from Maxim Integrated. In 1976 we could measure +/- 0.16 of ounce change in a 250 pound person. 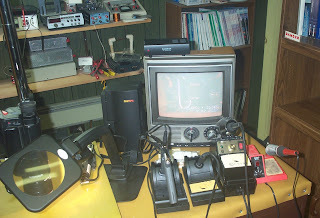 Thirty-seven years on, I wonder if Analog Devices, Intersil (see the video), Linear Technology (Jim Williams), Maxim Integrated or Vishay Precision Group (VPG), would step up to the challenge of funding the Rhine's project to showcase their current technologies, on how things have improved? Maybe you think you are up to the challenge of this scale design? Let us know. Anyone that has been around electronic devices for any length of time know that when the devices fail, they tend to go up in smoke, leading to the idea that electronic parts are run by Magic Smoke . Alas our sterilized, sanitized, paranoid society is taking the *fun* out of such things as hands on learning. While places like Analog Devices' Engineering University are great for learning theory and hands on labs with their hardware, sometimes it is far more educational, and down right *fun*, to learn why things went wrong. Only experience is going to teach one, the important debugging skill, of the differences in smells between burning resistors, burning capacitors, and burning circuit board material. Also teaches the importance of wearing protective eyewear (never know when a backwards part might try to impale itself into the ceiling or ones face if it is closer), and having a electrical rated fire extinguisher next to the workbench. What brings us to Magic Smoke , is that Vishay has upgraded their old line of Electro-Pyrotechnic Initiator Chip Resistor (EPIC) (and Design Guide and App Notes) to the new Massive Electro-Pyrotechnic Initiator Chip Resistor (MEPIC) . The new Vishay Sfernice resistor is optimized for electronic igniter applications in automotive safety systems for the deployment of airbags and other safety devices; digital blasting in mining applications; and in fireworks applications for better synchronization of fireworks, music, and special effects. With firing energy down to 1.5 mJ and a typical ohmic range of 2 Ohms (+/- 10 %), the device provides designers with very predictable, reproducible, and reliable behavior. Offered in the standard 0805 case size for the wraparound and flip chip versions, with other sizes available upon request, the resistor features easy set-up of firing levels, and is compatible with various pyrotechnic compositions. Picture of Aliens and UFO's found on military web site. How many are taking the Software Engineering exam this April? As regular readers are aware I've been chronicling events related to the new Software Engineering Exam, that some states are starting to offer as part of a Professional Engineer title. I contacted the National Council of Examiners for Engineering and Surveying (NCEES) and asked them how many people had signed up for the new test, to be given for the first time this coming April. Sadly I was told that information was confidential. Answers like that always invoke thoughts of conspiracy theories in my mind, as to what is being hidden? More than likely it is simply a mater of confidentiality. The data probably could be gotten from each states licensing board if you were motivated enough to ask, I'm not right now. I did pick up a couple of other tidbits of information. The new Software Engineering exam is considered a Group-2 exam, meaning that it has very small numbers of takers each time it is given. Hence this exam is only given once a year. Group-2 exams are required to have a sponsoring society, which for this exam is the IEEE. Do you think interest in this exam will increase with time (Without government mandates)? The Electrical and Computer Exam, that has been around since 2009, is a Group-1 exam meaning that it is one of the larger exams that has been given frequently, as such requires no sponsor. There has been concern that so few schools have the required accreditation for taking the Software Engineering exam. As each state board must approve a candidate before they are allowed to take the exam. They are the final decision maker on who is eligible and who is not. At this point now we wait. We are waiting for the next software disaster that kills people due to our collectively buggy software rushed out the door to meet trade show deadlines and market pressures, rather than properly engineering the software in the first place. That will lead to the draconian government regulations. The framework for the regulations are now in place. As an industry are we going to clean up our act now or complain greatly when it is to late, when regulations are forced upon us? By the way, what do you tell the Middle School Student that asks "Um, I'm in middle school... Are jobs actually like this?". I've given my answer in the past. I have written in the past, Why is the cost of my Bill of Material (BOM) so much higher than last week? The Orwellian doublespeak answer: Quantitative Easing , about how the government is manipulating the money supply, and how it has real world effects on our designs. Dollar Stretcher Guest Blogger Rick Kahler has written about how the government is now inflating the money supply, as my past columns predicted they would, by manipulating how the Consumer Price Index (CPI) is calculated. They have manipulated this number many times in the past such as by adding in the Military Personnel, removing real world items like food, gas and fuel. So do check out Rick's The Ultimate Stealth Tax: Inflation . Also you can get real inflation numbers (1980 and 1990 based) from John Williams ShadowfStats. "...The chained CPI is a tax increase for much the same reason. Many income tax brackets and deductions are indexed to inflation. Smaller annual adjustments to the brackets because of the lower CPI will push more people into higher tax brackets..."
One of the significant causes, of which there were many, of the Great Depression was when the Federal Reserve contracted the money supply. Even Warren Buffett has stated that he is concerned what will happen once the Federal Reserve Bank starts selling its holdings. Interestingly Governor Ben S. Bernanke has commented on this in the past: Money, Gold, and the Great Depression -- Remarks by Governor Ben S. Bernanke, At the H. Parker Willis Lecture in Economic Policy, Washington and Lee University, Lexington, Virginia, March 2,2004. Many are saying that we should return to the Gold Standard. That is each 'dollar' is exchangeable for real tangible gold, in theory. Places like the World Gold Council are, of course, all for this. Many banks are already starting to dump US Dollars to stock up on Gold. Hence the same people that are creating the mess we are about to face will be the same people controlling the Gold. Do you see this as an improvement? I do not. Central banks souring on the dollar. Buffett is worried about Fed policy . Markets on edge as Fed officials differ on bond-buying . Economic forecasts no better than a random walk . Global economy facing hesitant and uneven recovery, says OECD [Organization for Economic Co-operation and Development] . Introduction to inflation by Rick Kahler. The Treasury sells bounds, sheets of paper with no intrinsic value, to the Federal Reserve for things that politicians do not have the honesty to come out and say directly that they need to raise our taxes to support. The Fed buys these bonds with 'money' that it created from nothing. This created 'money' is put into circulation, making your money worth less each time it happens. This inflation is the most insidious hidden tax that you and I pay. Few figure this system out because it is usually hidden behind the Orwellian doublespeak of economics such as Quantitative Easing. Will you be ready for the Greater Depression? This week the Northeast Ohio Chapter (NEOACM) of the Association for Computing Machinery is going to hold a round-table discussion on government mandated licensing of Software Engineers. I have been chronicling the developments of what the various states are doing or have planed for licensing of software professionals over the last year, so I have been invited to be one of the panelists. If you are going to be in the Youngstown Ohio area this coming Thursday [2013/Mar/7th] stop by the Youngstown Business Incubator at 6:00 PM. First you must have a four year degree (The state of Maryland has an exception that I need to look in to), and the degree must be accredited by the Accreditation Board for Engineering and Technology (ABET). ABET lists only twenty-two Software Engineering programs. Software Engineer Insider summarizes a few of them. The closest to the NEOACM chapter are Penn State Behrend and Gannon University, both in Eire PA.
Next you must take, the completely unrelated to Software Engineering, the eight hour long exam that covers Chemical, Civil, Electrical, Environmental, Industrial, Mechanical, Other Engineering Disciplines, before you can even take the Software Engineering exam. Perhaps this is why Software Engineer Insider states "Other software engineers may want to take the licensing exam as a badge of accomplishment.". I'm sorry but I find that distressing. Egos have no place in the areas of safety that this Software Engineer license claims to be about. Read some of the background links above and you find Ego makes more than one appearance. Pathetic. You must also have experience in Software Engineering, four to twelve years as it varies by state, before you can take the Software Engineering (SE hereafter, not to be confused with Structural Engineering that is a more common NCESS exam right now) exam. Seems like a classic bootstrap problem, can't get the license until you have experience, and you are not allowed to practice without a license? This is where Mentoring enters the picture, however there are no state licensed Software Engineers yet to be Mentors. "Computer Science covers the core concepts and technologies involved with how to make a computer do something. Learning to program a computer by writing software is essential, and computer programming is used in most computer science courses..."
"Computer Engineering teaches you how to design systems that include both computer hardware and software. You will take classes on how computer hardware works and how to build a computer..."
"Software Engineering focuses on how to design and build software in teams. You will take many of the same courses as you would in computer science, but you will take additional courses that teach you about topics like requirements engineering, software architecture, software testing, and software deployment. You will learn about working with people (communication, management, working with non-technical customers), processes for developing software, and how to measure and analyze the software product and the software process..."
So Software Engineering knowledge that is being tested for is more about project management than anything else. As I've said for years "Most causes of system faults are created before the first line of code is written, or first schematic is drawn. The errors are caused by not understanding the requirements of the system", so in this one regard these new exam requirements may be a Good Thing. However good requirements doesn't directly address real world problems like the number one cause of most crashes and security breaches being buffer overflows. What is on the exam and who brought us to this point (besides our collectively buggy software)? The organizations that I know have been have been involved in the preparation of the exam are IEEE-USA, assisted by the IEEE Computer Society, the National Society of Professional Engineers, and the Texas Board of Professional Engineers. Do you know of others? The most valuable section of the document is the list of fifteen reference books from which the exam question pool is based. The exam is 80 questions, however I have not found how many questions are in the actual question pool anyplace. Reproducing the list here would be certain to have the copyright police show up. So I'm only going to mention three that I know are safe from the copyright police. First is professor Phillip A. Laplante's Requirements Engineering for Software and Systems (Applied Software Engineering Series) that supports my conjecture this is about selling training material not safety. Second Steve McConnell's Code Complete: A Practical Handbook of Software Construction, Second Edition that is on any software design reading list, as it should be. If you have read this book before, then read the new rewritten second edition. Finlay Linda Westfall's The Certified Software Quality Engineer Handbook , as I was already familiar with it, so felt safe to list it. For full disclosure if you buy those books by the above links I do get a small pittance from Amazon's Affiliate Program, so I too am making a profit related to safety. Given a small key space (a few bits) calculate the Diffie-Hellman secret key value. I taken this as representation of the silly concept that such a exam as this is useful. I am not a cryptographer and I have no idea how to calculate a DH key by hand. I base my designs on people that are experts in the relevant fields and rely on their expertise and software to calculate such keys. A better question might be why DH is used verse the One Time Pad (one of the other questions). Knowing how keys are exchanged is what is important, not how they are calculated. Given a flow graph, typical of Dot from Graphviz, calculate the flow path. Given a similar flow graph as above, calculate McCabe's Cyclomatic Complexity value. Myself I use C and C++ Code Counter to do such things. Given a set of statistics calculate the probability of software failure on demand; they use the incorrect acronym 'POFOD'. Are they are saying it is impossible to have perfect software? What software keeps an aircraft stable in flight? Their answer is overly simplistic. What is the difference between Real Time and Non-Real Time modeling languages? Incoming tasks must be serviced in a given time to meet requirements. How many processes does it take to guarantee requirements are meet? Myself I'd use Erlang, but that is not one of the answers. What is the best way to keep a project on schedule? Develop, create, and modify general computer applications software or specialized utility programs. Analyze user needs and develop software solutions. Design software or customize software for client use with the aim of optimizing operational efficiency. May analyze and design databases within an application area, working individually or coordinating database development as part of a team. Exclude "Computer Hardware Engineers" (17-2061). Secondly, returning to ABET, they describe the difference between a two year technology degree and a four year BS degree. From all the job ads I see in the Embedded Space the work that companies want done fall into the area of ABET's two year degrees, yet most all of the jobs demand that you have a four year degree to make it past the HR gatekeepers. Anyone care to explain that? Fortunately most new opportunities are found via networking bypassing these impediments to your career.